This summer blouse is a cool and casual choice for the warmer days. Cut loose and roomy, this cotton top will be a top choice. Casual, yet sophisticated, you can wear this blouse over shorts, or over a skirt for a comfy office outfit. Wear loose or belted. Designed with easy pullover styling and half sleeves. The back features a breezy split hem. Available in 2 colors and sizes from S-XL. 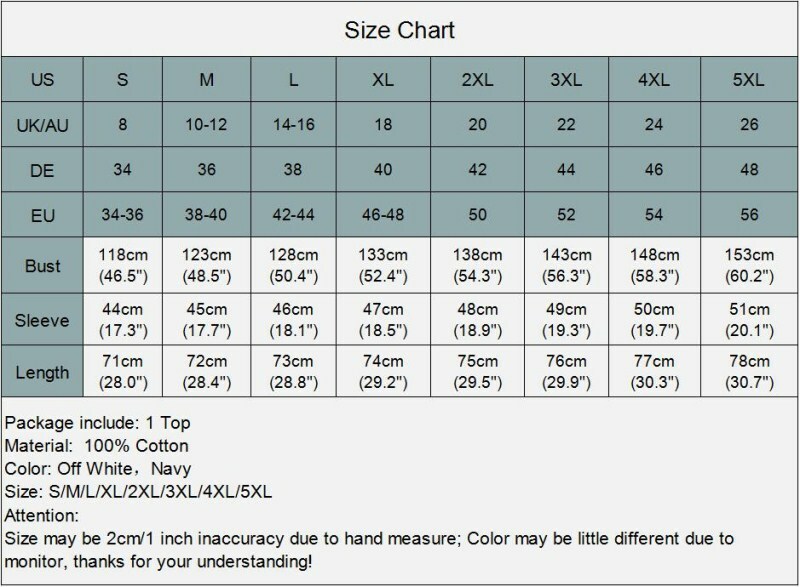 Please measure for size according to the chart below to assure accurate fit.